One of the design principles of Artifact is having three separate lanes, and drawing two cards per turn. By only playing cards in your priority lanes, you will have more choices and more resources to devote to those lanes, creating more value per card played. Knowing when to abandon a lane, referred to as the “Dead Lane”, is one of the more important things a player will learn. By choosing two lanes for priority, one lane will inherently be more important than the other, and many times, your opponent will choose that lane to give up in, creating their Dead Lane. For the purposes of this article, the two remaining Lane priorities will be referred to as High Priority And Medium Priority. The Dead Lane will sometimes move up to Low Priority with a card like , giving you the opportunity to destroy the opponent’s High or Medium Priority lane, causing massive disruption for the opponent. This becomes a fairly obvious concept when you take a look at some Heroes in Artifact. Heroes like will inherently force the Lane she is deployed into a High Priority Lane. 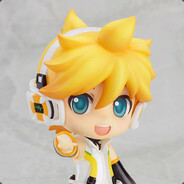 Or whatever lane is in, because he is just too beefy and strong, he will often force an opponent to give up on the lane. Taking a look at specific cards, you can get a good idea of how the House’s themes are setup to create High, Medium, and Low Priority Lanes. The House of Cunning, Black, will often times prefer to be in Lane One and Two, with cards like , , and , Black likes to use cross lane mechanics to control the board. If you use these cards from Lane One, you might kill a Hero before your opponent gets a chance to play a card in that Hero’s Lane. The House of the Wise, Blue, is kind of similar to Black because of one specific Spell, . Anytime you can cast this card, you would prefer it to be from Lane One. But Blue is a House that can be successful from any Lane, and create High Priority opportunities easily. Because of pulling creeps to her lane, and things like , Blue is the one House that can change their lane priorities the fastest! The House of the Bold, Red, decides its Lane priorities solely based on where its Heroes are deployed, and oftentimes where they are buffed up. and will likely create High Priority Lanes on their own. But then there are other cards like and that will allow Red to react and support various Lane priority into any Lane. The House of the Dreamer, Green, is one of the most obvious thematically and the opposite to Black. Green will use Improvements such as and to create a monstrous Lane Three. The reason Lane Three is such an advantageous Lane, is because by placing the Improvements from Lane One and Lane Two, you can get the Improvement effects during the same Round. You could go even one step further with something like preferring to be in Lane Three as well, because any Gold you would acquire from Lane’s One and Two would increase Revtel Convoy’s stats during Lane Three’s Battle Phase. What does a High Priority Lane look like? Here is a perfect example of a High Priority Lane. You’ve already invested a into the lane, and with Initiative, you might have a removal spell on that Legion Commander. This is the type of lane where you want to invest more resources into it and take the tower. What does a Medium Priority Lane look like? In the first example, we see a completely empty lane from the opponent, not even a single in play! This is a perfect Medium Priority lane. Here, you would rather play cross Lane cards from this lane, to boost your resources in your High Priority Lane. If you don’t have any cross Lane cards, it’s probably best to not even play a single thing! In the second example, we see a situation where the player is going to kill the opponent’s Tower. This is a prime opportunity for the player to use a or a to move a Hero from this lane into the High priority Lane. Even if you move out of this lane, the player would still have enough damage to take out the tower! We also have more of an advantage because the opponent’s is sitting in what is supposed to be the opponent’s Dead Lane. 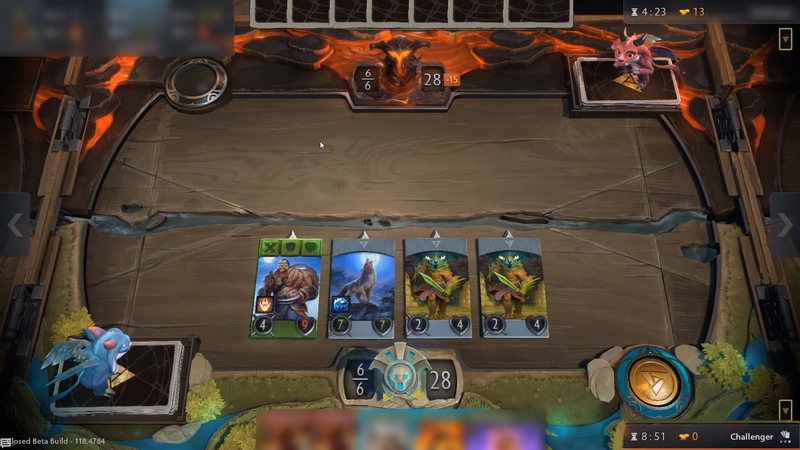 Which means after we take this tower, Rix isn’t in the opponent’s Medium or High Priority Lane, giving us a better chance of winning our High Priority Lane! Sometimes, it’s possible that Lane priorities can be determined before the game has even begun! If your opponent puts a in their flop, and it gets a kill on Round One, it might be in your best interest to make that your Dead Lane! This is why Hero choices and Round assignments are so important during deckbuilding. Of course, during an Artifact match, specific Lane priorities will change, adjusting to the flow of the game, and sometimes even dictated by where spawn! I’m sure you’ve heard players explaining their idea of the most important skill in Artifact, Deployment. In my opinion, the only reason Deployment is considered the most important thing to learn, is because by deploying your Heroes into the incorrect lane (Based on priority), it can weaken your High Priority Lane, can strengthen your Medium Priority Lane too much (causing your resources to be weakened in High Priority), or worse, incorrect deployment can mean you are throwing cards away in your Dead Lane! Okay, you’re probably thinking, what the heck is this guy talking about? Well, hear me out. Because Lane Priorities are something recognizable, there comes a situation where there are a finite number of outcomes between two players. Here, both players have given up their Dead Lanes to the opponent’s Medium Priority Lane and are fighting for control in the contested lane, both putting it at their Highest Priority. If the High Priority Lane is in Lane Three for a Green deck, I would guess the Green deck would have an edge. If the High Priority Lane is in the first lane for a Blue/Black Deck, I’d probably give the edge to the Blue/Black deck. These are things that need to be taken into consideration during the course of a match. This scenario of lane priorities will be the most common outcome between pro players. Both Players recognize the correct High Priority lane and devote more resources there, fighting for the most important tower. This creates an interesting dynamic. 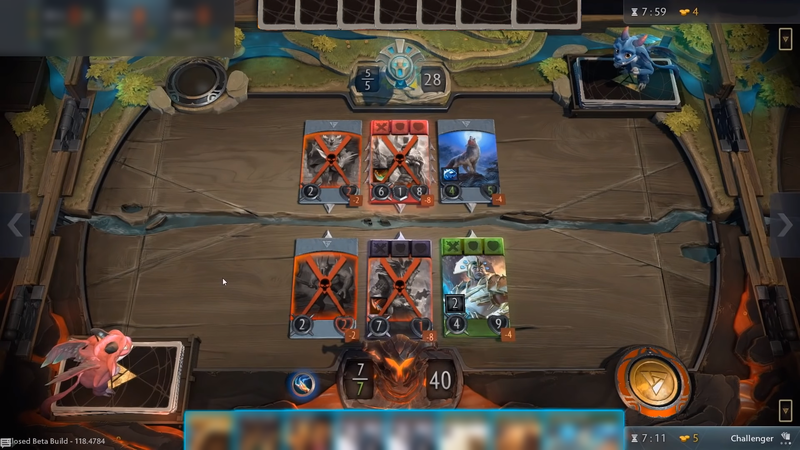 Yes, Artifact is played across three lanes, but doesn’t this mean only one Lane actually matters? This is something I’ve been thinking about quite a bit and I think it makes for an interesting topic of discussion. Let me know what you think about this. In this example, both players are fighting for control over a Medium Priority Lane. 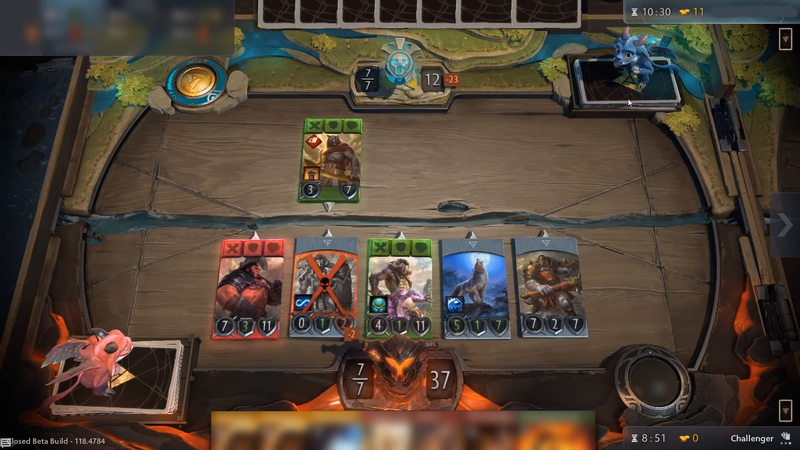 I would wager that the player that can switch their Medium Priority Lane into a High priority lane, with cards like , or even a , would likely win the match. When you recognize the lane your opponent has given up in, it’s always important to try and move your Heroes out of that lane and into a Lane that is contested. With this example, and the many possible variations of this, the High Priority Lane should always beat a Medium Priority Lane. The biggest way the Medium Priority player can turn things around, is if he can somehow shift his lane priorities to favor the contested lane. 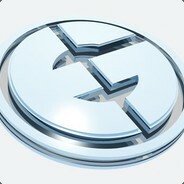 Otherwise, that player will be pumping resources into a Lane that the opponent already gave up on! There are many ways for a player to turn the tides of a contested lane from Medium Priority into High Priority. High value cards that can create a major advantage for you such as , , or even a well placed can quickly change an entire lane! When you are fighting in a contested lane against your opponent, you should attempt to change that lane to be your highest priority. This way, you devote more resources to the lane you are competing over, because the other two lanes have mostly been decided on, because you gave up one and your opponent gave up the other. Moving Heroes from the Medium Priority Lane into the High Priority Lane is extremely important to win the contested lane. Even if you can’t get your hands on a or , it might even be advantageous to allow your Hero to die in combat or even kill them yourself with a Spell! I really enjoyed reading this article. I still haven't had a chance to play the game yet, but insights like this will prove useful once I start :) Thanks for taking the time to create this for us.